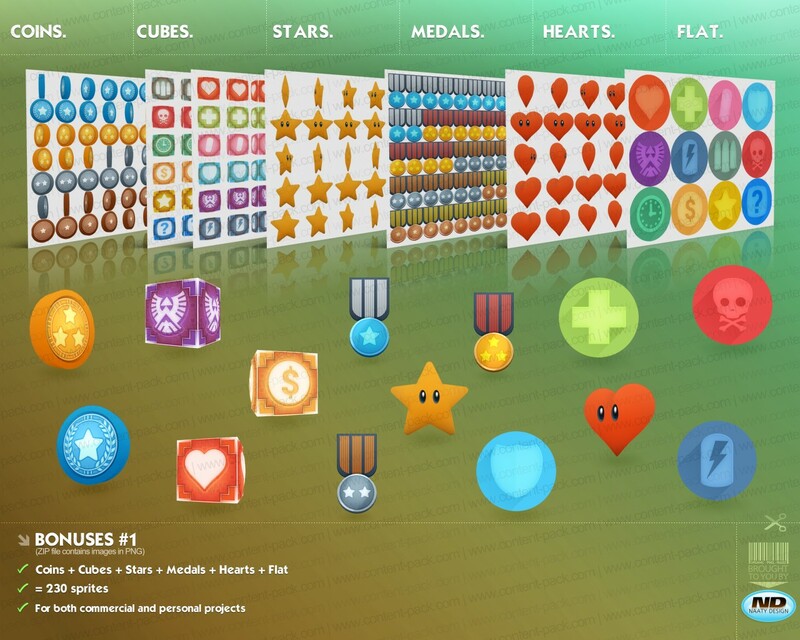 Let’s make the most of bonuses and power-ups! Flat : 12 pictograms in flat design / Long shadow / can be used both ingame and for interface as button. .zip archive contains 7 files in .png format featuring 230 sprites (7 Sprite Sheets). Prototype now using quality assets: Level up! Look no further and check the Official Scirra Store out! You’ll find a collection of 75 sounds from Mark Sheeky for a sweet price. Partager la publication "Bonuses volume 1"